Illinois is a busy cross-section of highways, with Chicago, in particular, being a main transportation hub for the Midwest. All these highways lead to high traffic, large trucks and a high propensity for accidents. With higher speeds and more vehicles traveling crowding roads, it can be a dangerous trek commuting across the beautiful state of Illinois– or even on a short family outing to a nearby town. 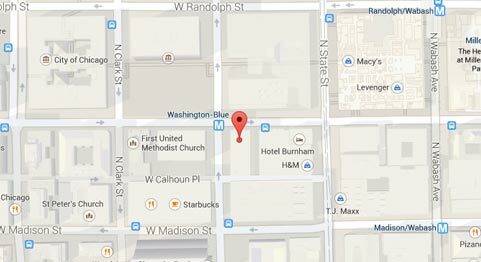 Rosenfeld Injury Lawyers LLC can assist you with a Chicago car accident occurring on a highway or interstate in our area. In addition to having attorneys on-call 24-hours a day, we also have a team of accident investigators who can be deployed to the scene of an accident at any time. Contact our law firm now for a free evaluation of your highway accident case. There are almost 2,200 miles of interstate running through Illinois, making it 3rd in the nation for miles of interstate, only behind California and Texas. Considering Illinois is a much smaller state than the two ahead of it, even the rural areas have plenty of interstates passing through their midst. However, it is the densely populated urban area in and around Chicago that gets the majority of traffic. Of the 23 interstate highways in Illinois, 13 continue past the state lines. Only five of these highways connect to Chicago, yet they handle a significant amount of miles that are traveled every day. On interstates alone, over 47 million miles are traveled around the Chicago area every day, and that does not even include the local highways and byways that connect them to the inner streets of the city. Those roads boast another almost another 2 million miles that commuters, tourists, and commercial vehicles drive daily. Accidents on highways are more likely to cause serious injury or death due to the speeds and volume of traffic that are involved. In 2011, over 100,000 crashes happened on highways in Illinois, accounting for 349 fatalities and over 23,000 injuries. These highway accidents account for almost half of all the accidents that caused injury or death. One reason that the highways of Illinois are dangerous is due to a large amount of commercial and cargo truck traffic. Big trucks make up 18% of all urban highway traffic and 31% of all rural highway traffic. Large commercial vehicles are involved in only 3% of all accidents, yet they account for nearly 10% of all fatalities, the majority being occupants of other vehicles. Highway and Interstate accidents tend to be extremely deadly due to the speed involved in these types of car crashes. As the vehicle's velocity increases, even a minor accident can create severe consequences due to the higher speeds. Regardless of the skill of the driver, when speed increases, the severity of a crash also increases. Stopping distance. Speed increases the distance a vehicle travels before it can come to a complete stop to avoid an accident. Crash energy. The amount of energy created by a crash increases exponentially with speed. A 50% increase in speed results in a 125% increase in energy created. Vehicle limitations. Most vehicles are tested at speeds of 30-35 MPH for crash ratings and are not rated to withstand higher speed impacts. Highway and Tollway accidents can lead to serious injuries and fatalities. If you have been involved in a Chicago highway accident, call a law firm that is experienced in handling these types of injury accidents. 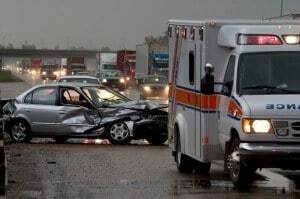 Rosenfeld Injury Lawyers LLC have an experienced team of Illinois motor vehicle accident lawyers and litigation experts that can help you and your family get the financial compensation you deserve for your injuries or loss. We are knowledgeable in large trucking industry civil suits and can achieve the best settlement or award for your accident. Contact us today for a free consultation to discuss your case.